Aaron has spent the past 10 months alone. When he meets a sad, yet strangely familiar man on a cold Halloween night, he impulsively invites him home. But the intimate connection they share lasts only until morning. Aaron wakes up alone – wracked with guilt and devastated to have lost his chance. Or so he thinks. Thanksgiving brings Aaron another shot at happiness, but letting go of an old love and accepting a new one isn't as easy as everyone keeps telling him. And by the time Christmas Eve rolls around, it becomes clear that Aaron's not the only one struggling to let himself love again. Christmas miracles are all well and good, but it's going to take more than the Holiday Spirit for Aaron to get his happy ever after. ‘Tis the Season suffers from the same shortcoming most good novellas do… that the end came far too soon. Even knowing that the bulk of Aaron and Dylan’s story takes place over three months, I still wasn’t prepared for the epilogue when I reached it – although I did enjoy it immensely and found it to be the perfect wrap-up to their journey. Aaron is a widower who is still clinging to his grief, but at only ten months since the loss of his husband, he’s not ready to “move on” with his life. Personally, ten months was when my grief tipped over into depression, so I completely understood why Aaron felt it necessary to cut ties with the people in his life who kept telling him to move on and start living and loving again. But a chance encounter on Halloween night, that progresses into a one-night stand, has Aaron wondering if maybe he might possibly be ready to take that first step, until he sleeps on it and wakes up feeling guilty and as if he cheated on his dead husband. When Aaron ruins his chance to make future plans with Dylan, fate steps in the following month and their paths cross again on Thanksgiving Day. As both men are happy for the chance to reconnect, they fumble their way through the next month, trying to see if they are both ready to move on and do so together. I do wish that the jump in time from chapter three to the epilogue hadn’t been so significant, but that’s because I enjoyed spending time with the guys and wanted to experience more of their journey right alongside them. I thoroughly enjoyed Fell’s performance. This is the first audiobook I’ve listened to by this narrator and I was impressed with how easy he made it to distinguish one character from the other. Another talent Fell possesses is the ability to clearly convey when the characters are thinking to themselves or speaking to one another. In ‘Tis the Season, both men engage in a good amount of internal dialogue and Fell’s narrative performance left me with no doubt as to who was speaking and who was thinking. Michael Fell did an impressive job of bringing Alex’s Jane’s story to life, making an enjoyable story even better – so much so that I’ve already listened to it several times this month, hence the five stars. I look forward to checking out more of both the author’s and the narrator’s work. Michael Fell is a professional actor trained in the classical actor training program at the Guthrie Theatre/ University of Minnesota. 4 years of rigorous voice training include voice over, character voices, audio book recording, and radio work. He has worked in numerous theatres across the country, was a member of the 2015-16 Acting Apprentice Company at the Actors Theatre of Louisville, and currently lives in New York City. He also is co-host of the new podcast GAY TODAY, available on iTunes, or wherever you download podcasts. 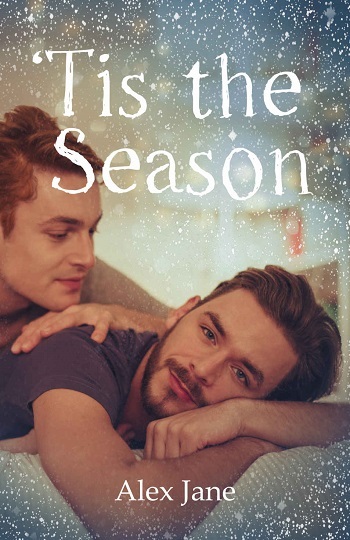 Reviewers on the Wicked Reads Review Team were provided a free copy of 'Tis the Season by Alex Jane, narrated by Michael Fell to listen to and review.